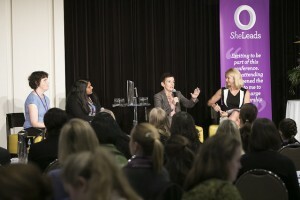 Produced two YWCA Canberra conferences that were held in May – She Leads College Conference (5 May) and the She Leads Conference (19 May). Both were amazing and I feel like I’m still processing all the insights and learnings! Delivered a full-day of design thinking training as part of the For Purpose Bootcamp series. Shared a story about motherhood at the Feminartsy Story Share. (It technically happened in June, but before I finalised this post, so I’m including it here…) Completed an Executive Certificate in Event Management from the Australian Centre for Event Management (UTS). I also completed my #100happydays photo project (most of the photos are on Instagram and Flickr). It was interesting to notice and be actively seeking out happy moments each day, and it reminded me that even on days that I might not rate as ‘good’ or ‘happy’ overall, there are still small things to smile about and be grateful for. I’ve also been doing a bit of ‘life admin’, which has involved declaring Pocket bankruptcy and deleting over 2200 items in my to-read list. While I feel a little anxious about what awesome articles, posts, videos I may never read again, there was no way I was ever going to get through the 2000+ items. The fabulous contribution that so many people made to the She Leads conferences. In particular, the amazing women who stood on the She Leads stage (and who shared their stories and advice with so much generosity, authenticity and vulnerability), and the awesome team that I work with at YWCA Canberra. Working on events (including TEDxCanberra) I really get to experience what real teamwork looks and feels like. As a public servant, most of the collaborative work I did involved pieces of work passing from one person to the next in a linear way. Events provide this fabulous (often fairly stressful) focal point where everyone needs to come together to do their bit, and support each other to to theirs. The flexibility we have with our work / child care arrangements. I still feel like we have a fair amount of stress in our lives trying to do the juggle, but nowhere near as much as we’d have if we didn’t have this flexibility. With Jason and I working from home, good childcare just minutes up the road, and a lovely babysitter, I feel like we manage what we need to do at work, and are still able to easily be together at 5.15pm to eat dinner! As my work ramped up this month, Jason was able to take on more of the childcare without needing to negotiate time off or put in place any complex logistical arrangements. Self-care, and how I can practice this better. By the time the She Leads Conference rolled around I had caught a cold, wasn’t sleeping much (with a toddler, that’s mostly not my fault!) or eating terribly well, and I could feel how physically stiff and tight my body was (from too many nights at a computer desk and not enough moving my body). On a related note, this month is 6 years since I first started personal training with Rose Males, and I remember her saying at our first meeting, ‘if you don’t look after yourself, you can’t look after anyone else’. I need to get better at finding simple ways (that don’t take up a lot of time) to ensure that I’m taking care of my body and mind. Motherhood. Speaking at the Feminartsy Story Share forced me to analyse, sort and articulate some of my muddled thoughts about being a mum. I spend so much time in my head thinking about mum-related stuff, but rarely do I actually have to share these thoughts! At the Story Share I briefly met Joan Garvan who spoke about motherhood as a relationship rather than a role. I often think of being a mum as a ‘job’ – probably because it essentially replaced my paid employment and because it involves a lot of job-like tasks and obligations, but I know it’s easy to get hung up on job ‘performance’. Thinking about it as a ‘relationship’ seems to be less stressful as it allows for change and growth over time, and obviously involves (at least) two contributing parties. It also seems to provide a useful perspective at times where I’m not sure what to do – instead of asking ‘what is the correct thing to do?’, I can ask ‘how can I strengthen our relationship?’. I feel calmer, more compassionate and connected as a result. I’ve been following Chisa’s Head & Heart posts for a few months, and thought they provide a really nice framework for a regular reflection practice. So this month I’ve decided to jump in and have a go too! The time E gets to spend with my mum. Mum came over at the start of April to look after E while Jason and I went to Sydney for our wedding anniversary. The two of them have such a lovely time together and I know how precious it is. It makes me think about the wonderful time I had with my grandmother as a young girl, and wish that she could have got to meet E. They would have made each other so happy. Saying ‘sorry’. E went through a little phase of apologising a lot and noticing this has made me reflect on how much I say ‘sorry’ in my everyday life. I also read this piece – I’m Not Sorry – which has got me thinking about being more intentional with my apologies! My slow progress on my decluttering/minimalism journey. Since reading The Life Changing Magic of Tidying Up I feel so much more conscious of our clutter and frustrated by how slow I’ve been to achieve my vision for a decluttered space. But little wins do bring joy – like creating a special space for our keys/wallets/phones. It has definitely cut down on the number of frustrating ‘where are my keys?’ (or more often ‘where did you put the keys?’) comments and demonstrates the value of the ‘having a place of everything’ approach. Supporting roles. This tweet from Austin Kleon got me thinking about them in the context of my life/work. I feel like I naturally gravitate to supporting roles and they’re often the roles that make use of my strengths, but sometimes I struggle to see the value of supporting roles and wonder if I should be striving for a ‘main part’.